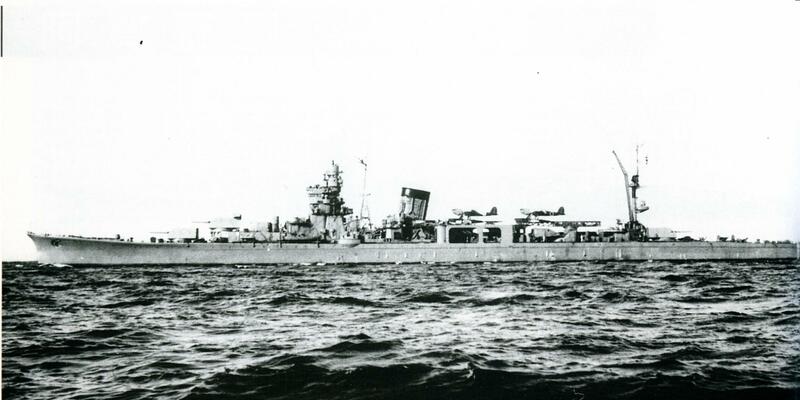 One of four Agano-class cruisers intended to be Destroyer squadron flagships, the Japanese light cruiser Yahagi was built at the Sasebo Naval Yard and commissioned into service on December 29, 1943. After months of training in the Singapore area, she participated in the Battle of the Philippine Sea, rescuing 570 sailors from the stricken Shokaku. Following the debacle at Philippine Sea, Yahagi returned to Japan, where she received additional AA guns and radar at the Kure Naval Yard. Following her refit, she joined the Yamato, Musashi, Kongo, Nagato, 8 cruisers and a host of Destroyers carrying troops and supplied to Okinawa. After fulfilling this mission, she departed Nakagusuku Bay, Okinawa for Manila, then moved onto Singapore after a few days. Yahagi continued to train in the Singapore area, until sailing to Brunei in October, 1944. From Brunei, she joined the Center Force of the multi-faceted Japanese Operations “SHO-I-GO”, which sought a decisive battle with the United States Navy. 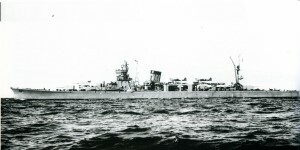 As part of the Center Force, Yahagi was part of the running battles of the Palawan Passage, the Sibuyan Sea and the Battle off Samar, all of which were part of the larger Battle of Leyte Gulf. Her participation in these engagements seems limited to her coming through unscathed, with was an achievement unto itself. After the Leyte Gulf fiasco, the Imperial Japanese Navy scattered westward, seeking safety from American aircraft and submarines. Yahagi returned to Brunei, then accompanied the battleships Yamato, Kongo and Nagato on the passage back to Japan in November, 1944. During this trip, Kongo and a destroyer were sunk by the US submarine Sealion II. Upon her return to Japan, Yahagi underwent another refit at Sasebo, then conducted training with the battleship Yamato for the next several months. Finally, in April of 1945, along with Yamato and 8 destroyers, she departed on Operation TEN-ICHI-GO, which was in essence a naval Kamikaze attack against the US fleet laying off the Okinawa beachhead. Spotted by American submarines soon after their departure from Japan on April 6th, the force was overwhelmed by US Navy aircraft on April 7th. Yahagi was torpedoes and brought to a halt during the first wave of attacks, then further battered by as many as six additional torpedoes and up to a dozen bombs. She finally succumbed to her assailants at approximately 2pm in the afternoon of the 7th of April, taking 440+ men with her. 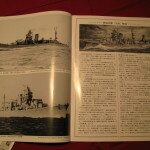 For more information, check out the Yahagi’s Tabular Record of Movement (TROM) at the Combined Fleet website. For years, the only Agano-class kit available has been the venerable 1/700 Tamiya offering. A good kit in its day, that can still be made into a great model with various aftermarket accessories, a new version of this model has been overdue for sometime. Following the release of their earlier 1/350 kit such as Mikasa and Akagi, Hasegawa has answered the call with the state of the art kit of the Yahagi, which depicts her at the time of her final mission. 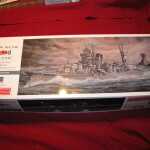 The model comes packed in a sturdy box with extremely attractive artwork and pictures of the completed model on the box sides. When you open the box, the first thing you see is the two piece hull, which is secured into a slotted piece of thick cardboard. 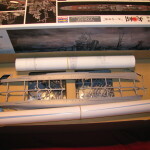 Also visible are two rolls of paper – one has a plan and profile view of the ship, the other is a poster of the box art. 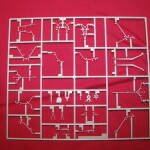 Removing the cardboard insert reveals the rest of the box contents, which consists of 15 additional sprues, the instructions and a booklet with pictures of the Yahagi printed on nice glossy paper. 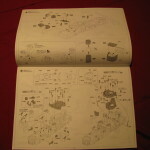 The hull, as previously mentioned, comes in two halves – port and starboard – so there is no option for a waterline kit. 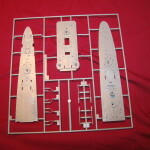 Hasegawa has learned there lesson from the Nagato hull plating disaster – this kit has some nicely done horizontal plating in it, with a degaussing cable that is also well done. 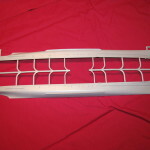 There are four slots in the hull – two on each half, one forward, one aft – for an insert. I’m not sure what these are for, but Hasegawa has announced plans for a follow on version of this class, which will be boxed as Agano, so this might have something to do with that. The actual ship was approximately 571 feet long and almost 50 feet in beam – almost the same length as a USN New Orleans class heavy cruiser! The Hasegawa hull scales out perfectly in length, but is slightly narrow in beam, but not enough that it should be noticeable. The deck is split into three pieces – again, since Yahagi is basically a flush deck ship, this may have something to do with follow on versions. The deck has subtle raised strips to replicate the brass that help down the linoleum decking, and again, is nicely done. 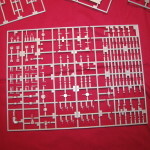 The rest of the sprues contain the superstructure and aircraft handling deck, turrets, weapons, boats, rangefinders, masts, stiffeners for the inside of the hull and the parts for the stand. The weapons look very crisp and can be used right out of the box, unless you are a super detailing freak who needs to use aftermarket parts. The only think I would replace – other than using photo-etch railings & radars – is the main battery barrels with brass barrels. 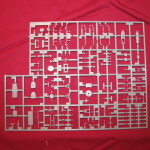 Hasegawa has released an extensive upgrade set for this kit, which is available separately from your favorite retailer. It’s a bit pricey, retailing for $90. 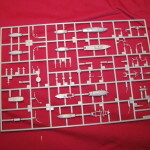 Personally, I’m waiting for see what the usual suspects – Gold Medal Models and White Ensign Models – come out with before buying anything else. 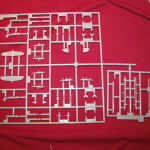 For ship modelers, we are living in the Golden Age of Modeling. 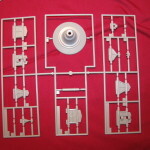 Who’d have thunk that you’d ever seen a 1/350 Agano class light cruiser from a major injection molded manufacturer? 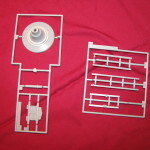 In the box, this is an excellent kit with sharp detailing. The only negative I can think of is the price – the kit retails for $160 (you can get it on-line for less than that). So, while it’s more expensive than some heavy cruisers offered by Trumpeter, it’s – as mentioned earlier – not a small ship, being only 17′ shorter than a New Orleans class heavy cruiser – and is frankly is better than just about anything Trumpeter has released to date. 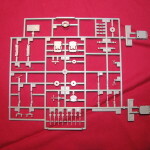 If you are an IJN fan, a gun ship or cruiser fan, you’ll want to add this to your collection. Highly Recommended.